Cllr. Liaquat Ali MBE JP. 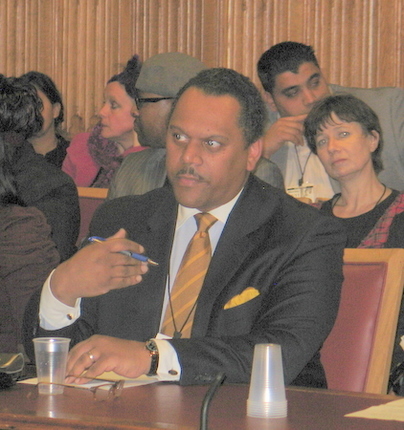 Cabinet member Community Safety & Cohesion, explained the anti-gang strategy and work in the London Borough of Waltham Forest in a meeting hosted by Lord King of West Bromwich and organised by the Universal Peace Federation - UK, in the House of Lords on November 28th. He reflected that the serious issue of gangs is not just a problem in Waltham Forest. There were many London Boroughs, including neighbouring Boroughs, who suffered much more than Waltham Forest in the riots this summer. The Waltham Forest multi-agency, anti-gang programme preceded the riots. Tackling a gang problem is complex and deep rooted and to succeed we really have to turn people’s lives around by addressing some difficult issues. Yet these need to be overcome in order to support those communities to reclaim their neighbourhoods and make them safer places to live. He added that the anti-gang programme requires communities coming together and reclaiming their neighbourhoods. When it started in January 2011 there was a multi-agency gang prevention programme focus. Part of the process is to decrease violent crime by arresting and convicting some repeat offenders. This programme is working in a focussed way with at least 26 families. Cllr. Ali pointed out some young people in the audience who are active in the anti-gang project. Their advice what to do to solve the problem was really taken seriously. Bill Bratton, the New York super cop, has praised this project. When they appeared before the Home Affairs Select Committee, the Chairman Keith Vaz MP, praised the programme. The Home Secretary, who is bringing out her own programme, is very supportive of the LBWF efforts. Cllr. Ali explained that this is a programme can be rolled out in different London Boroughs or Councils in the UK. LBWF had to go through the painful process of cutting £65 million from our annual budget but this anti-gang project has been set as a priority. Approximately £4 million over the three years has been dedicated to this because it can benefit the whole community. The anti-gang programme is an innovative partnership using some available Whitehall funding streams. It involves working with parents and carers, working with siblings, getting those targeted into training and employment and even relocating if it is necessary to assist those to resist gang entrapment. The gang-related crime statistics reveal a significant reduction in activity in the LBWF. 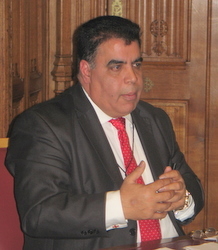 Cllr Ali explained that there is a reduction of 24% in serious youth crime. There is a reduction of 31 % in gun crime. Knife crime is down 16%. Personal robbery is down by 11%. The crime rate overall in the Borough is down 9%. This is in a wider London context in which crime rates have risen. He added that this has been assessed as a saving to the tax payer in LBWF of £2.3 million. Cllr.Ali explained that they began working with the younger group who are potential future gang members. They supported a DVD that came out for primary schools to promote an image that it is not cool to be in a gang. He summarised the programme saying that they are helping anybody involved in gangs in our Borough with the knowledge that we can be hard on those that do not want to be helped as a last resort. On the other hand they can make the lives of former gang members better in order that they do not return to those gangs. Cllr. Ali praised the work of the ‘Better Way’ partnership whose CEO, Sheridan Mangal, was present. 'The Borough is really grateful for their support' he emphasied. Sheridan Mangal identified four strands to the Better Way Partnership's approach. 3) Neighbourhood activity. The community led approach is organic from the grassroots. This is the Better Way Partnership approach. 4) As a last resort, enforcement. This is a sensitive matter. The manner of enforcement has to be monitored and done with due diligence and research so that coming in and breaking down doors does not lead to distrust of the authorities involved. The Better Way Partnership is a community driven group that specialises in joining up the dots by working with the Borough, the Police and the Community.